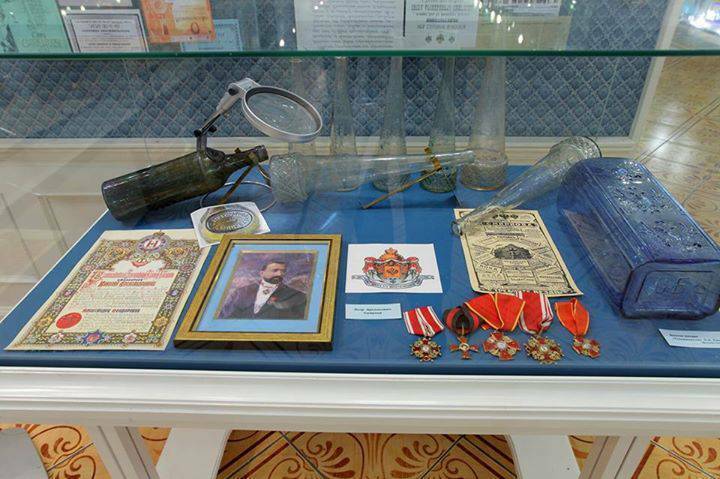 Open to visitors since 2001, the Museum of Russian Vodka HistoryRussian: Muzey istorii russkoy vodki or Музей истории русской водки is part of the Izmailovo Kremlin complexRussian: kompleks «Kreml v Izmaylovo» or комплекс «Кремль в Измайлово» where you can admire traditional Russian architecture, visit the Izmailovo Reserve MuseumRussian: muzey-zapovednik «Izmaylovo» or музей-заповедник «Измайлово» nearby, as well as an open-air flea market. 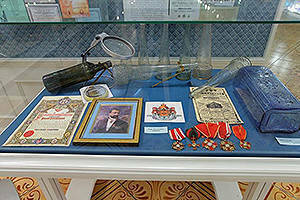 You can learn about the origins of vodka and follow its history by exploring the collection of this small museum. 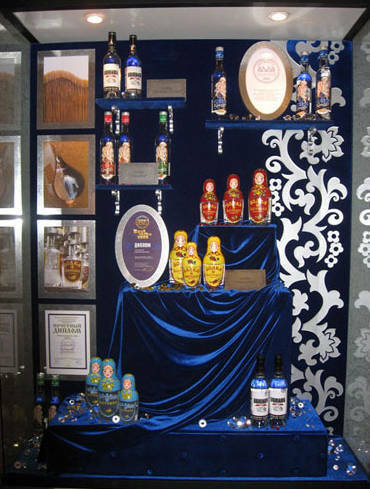 Drinking traditions are illustrated with samples of bottles and other vodka containers of various kinds, historical documents, photographs, and artistic installations. 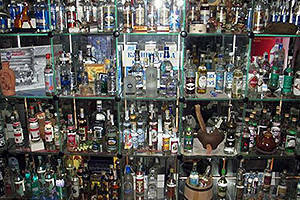 In total, the museum collection has over 1000 varieties of vodka, most of which are on display. 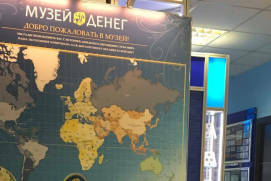 Several hundred exhibits give an overview of all the milestones in the history of vodka in Russia, in accordance with the major stages of the country’s history – the Old Russian epoch, the Russian Empire, the Soviet Union and modern-day Russia. 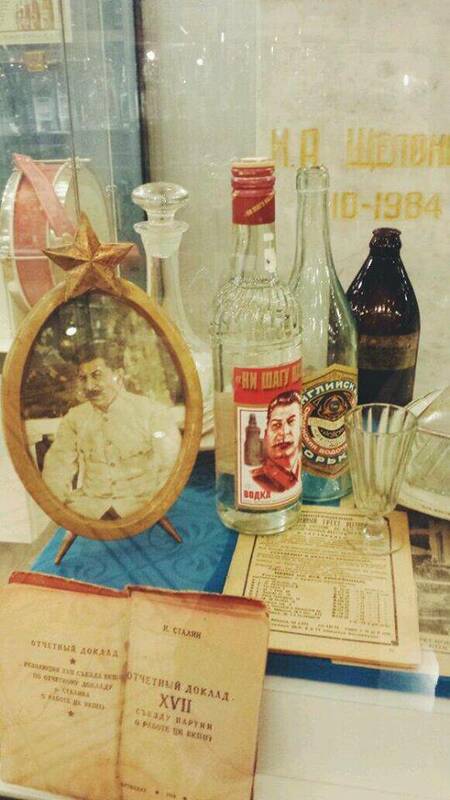 The Museum of the History of Russian Vodka is not large. 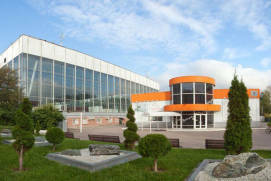 The permanent exhibition is entitled ‘The 500-Year History of Russian VodkaRussian: Pyatisotletnyaya istoriya russkoy vodki or Пятисотлетняя история русской водки’. 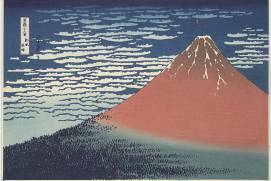 Over these five hundred years, this 40% alcohol beverage has become a national symbol. 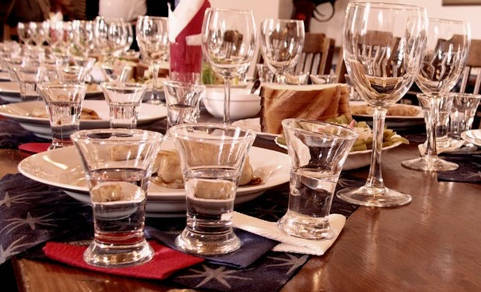 Russia is considered to be the birthplace of vodka, although Poland has made attempts to contest the title. The word vodka is a Russian word. 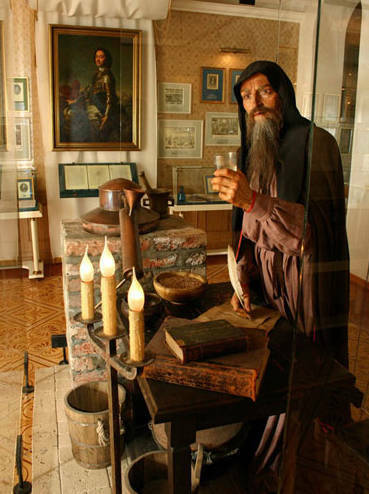 A spirit called aqua vitae was distilled in Moscow as early as the 14th century with help from Italian experts. Later, the spirit evolved into vodka and became widespread in Russia first, but it has been known internationally since 16th century. 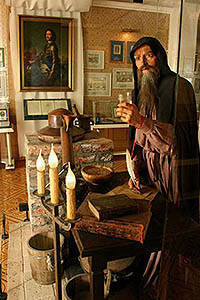 Almost everyone in Russia, from monks to peasants, were involved in the production of grain vodka. 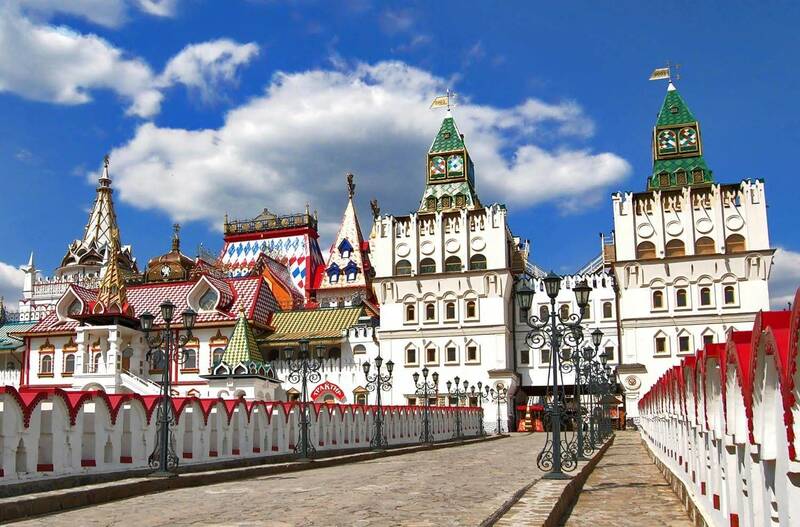 By the 19th century, Moscow already had 11 vodka distilleries! Besides the well known Tretyakov gallery and the State Historical Museum, there are a lot of interesting galleries and (house) museums in Moscow. 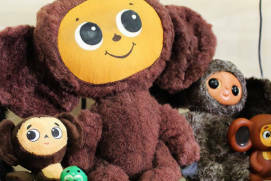 If you want to learn more about best museums in Moscow or to visit any famous exhibition in Moscow, you can find a lot of useful information on our webpages. 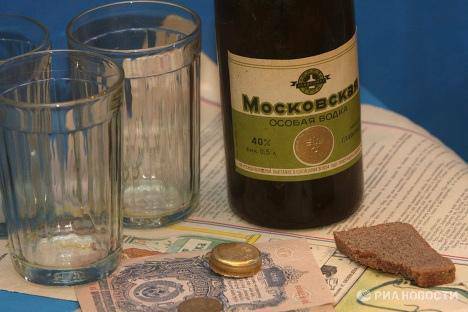 Vodka has played a major role in Russian history more than once. A number of far-reaching decisions made by the country rulers are implicitly somehow linked to vodka. 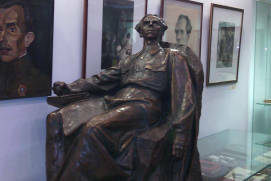 The exhibition comprises orders of Russian tsars and presidents, works of famous writers and photos of well-known people including representatives of the Romanov dynastythe second dynasty to rule Russia, after the House of Rurik, reigning from 1613 until the February Revolution of 1917, all of whom were somehow involved with the history of vodka. 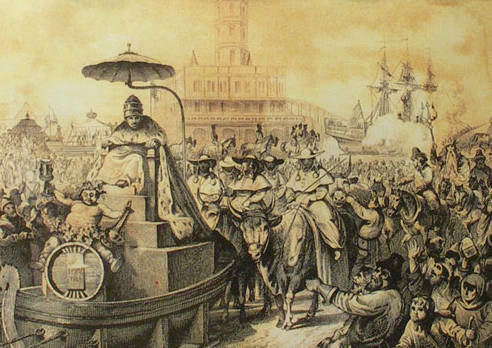 You will find out who was the first to introduce a state monopoly on the production of vodka, how the drink helped Russian rulers to refill the empty treasury, why Emperor Peter the Greatruled from 1682 until 1725 was an ardent supporter of the distillation process, what zeljethe so-called vodka in pre-revolutionary Russia, samogonhome made spirits, and pervachpopular name for moonshine are, and how Dmitri Mendeleev, the renowned chemist, got to be called the ‘Godfather’ of Russian vodka. 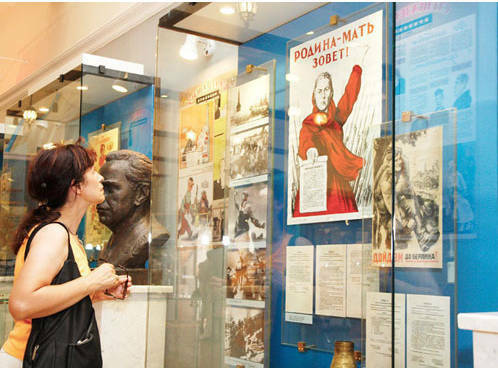 Special sections of the museum are devoted to the history of vodka in the era of wars and revolutions. Here, you can see the famous Commissar’s 100 Grams, a daily ration of vodka given to Russian Red Armya common name for the Russian National Military Forces from 1918 to 1946 soldiers before an attack. The final section of the exhibition is devoted to the twists of fate vodka has endured in modern Russia. 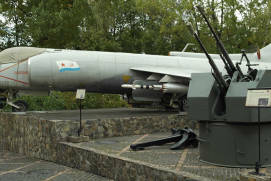 It is no secret that the fight against drunkenness and prohibition-style measures introduced by Mikhail Gorbachev were among the indirect causes of the collapse of Communism in the country. 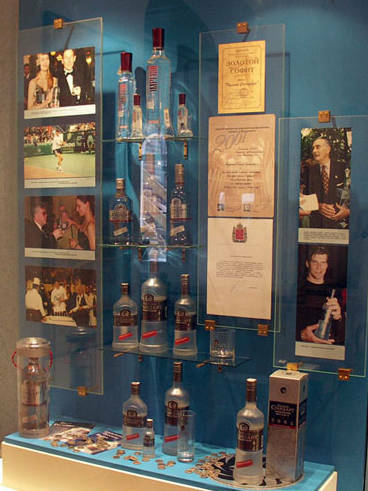 Also of interest are exhibits of the museum’s collection of foreign vodka from the USA, Turkey, China, and Korea, original gift sets, bullet vodka and automatic gun vodka, among others. 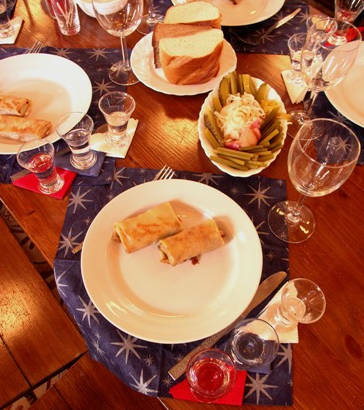 type of alcoholic drink – at the entrance, you will be offered a glass of medovukha, a Slavic honeyed alcoholic beverage (included in the entrance fee). 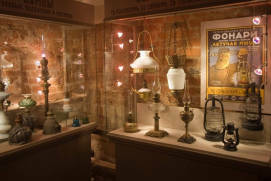 Those who enjoy glass artworks will find this museum particularly interesting as it houses an extensive collection of bottles and other beverage containers of any conceivable shape and design ranging from shkaliksan old Russian liquid measure, equal to 61.5 millilitres and shtofsRussian liquid measure equal 1,22 litres to barrels and buckets. 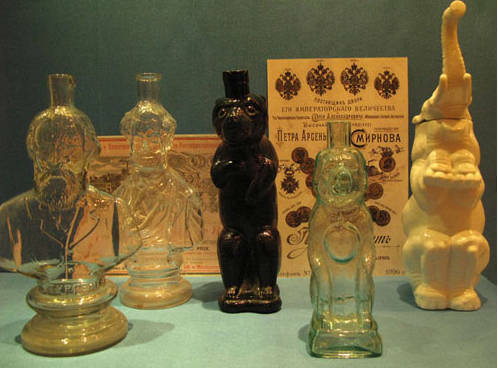 The museum has a valuable collection of Nikolay Shustov’s brandy bottles, supplier of His Imperial Majesty Court Petr Smirnov’s shtofs (1.23 litre vodka bottles), and an extensive collection of vodka labels and stickers which give an overview of the vodka market in pre-revolutionary Russia. 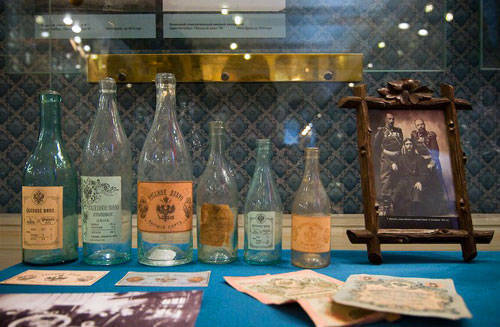 Another valuable exhibit is the bottle manufactured at the Kronstadt table wine distilleryRussian: Kronshtadtskiy zavod stolovogo vina or Кронштадтский завод столового вина in 1862. 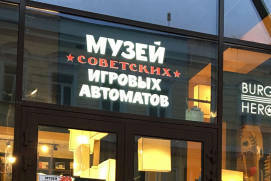 Naturally, you will find the famous StolichnayaRussian: Столичная bottle, which dates back as far as 1938 and which has been continually manufactured since then. 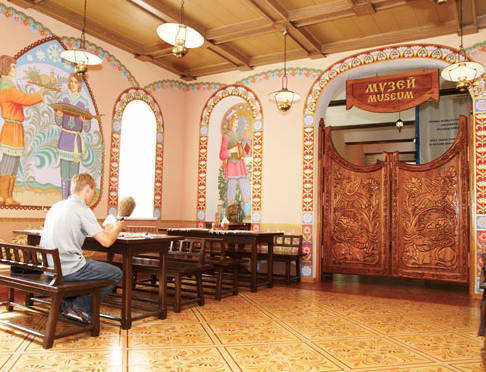 Inside the museum, the interior decoration of a Russian traktir, or inn (a tasting hall) is reproduced. Traktirs were the focal points of social life where the latest news was discussed, deals were closed, and merchant drinking sprees took place. 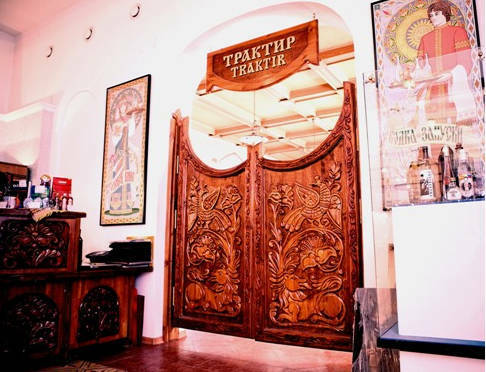 In the Museum of Vodka you can see a traktir just as it was a century and a half ago. 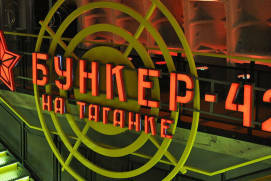 In this Traktir, you can taste various kinds of vodka and have a snack of pickles, pies, and caviar to chase it down with. 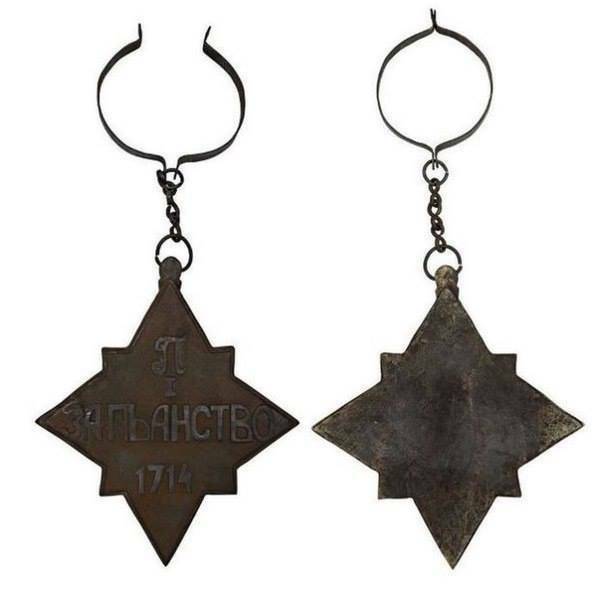 Remember to have your picture taken with the medal ‘For Drunkenness’ introduced by Emperor Peter the Great to ‘distinguish’ those of his subjects who drank heavily. 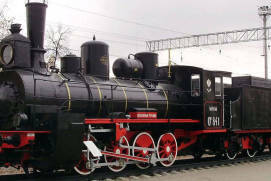 From 70 to 200 rubles depending on visitor's category and programme of visits. Amateur photo and video are included in the ticket price. There ia an audio guide. 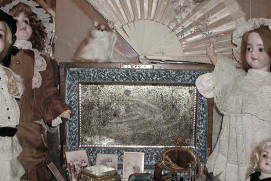 This is a small museum. Entrance costs 120 rubles, I can spare this money. You can download the audio guide and listen to the story of the origin of this drink, and you will also be offered to taste mead. 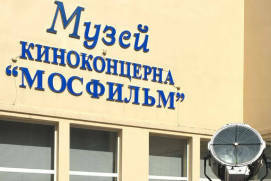 The museum consists of 2 halls. 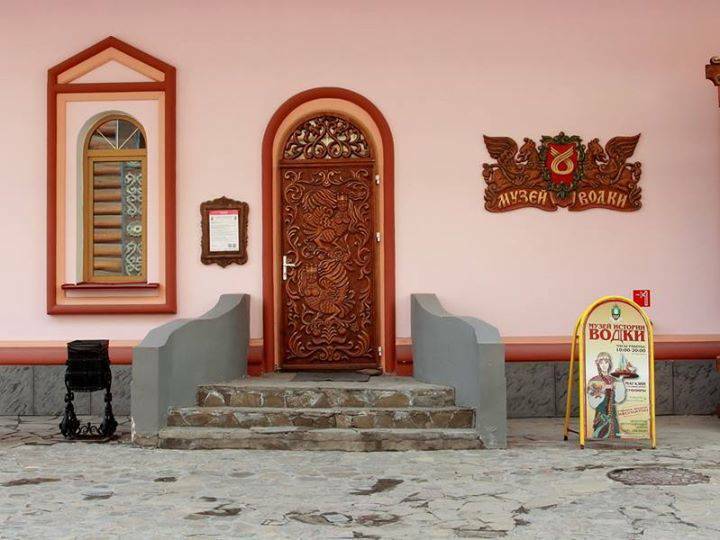 The history of distilling begins with the reign of Grand Duke Vladimir and ends with Yeltsin. On the stands, there are a lot of samples of documents in old Russian. If you don't feel like reading, there are barcodes that will give you the link with an audio guide - it's very convenient. 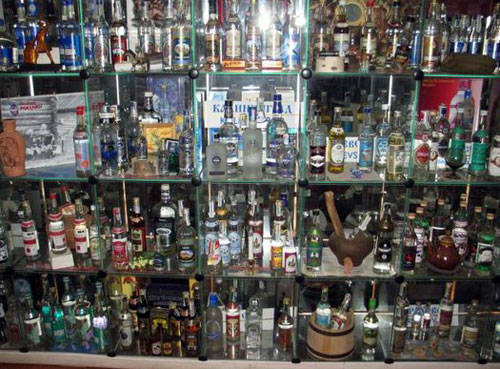 The collection of vodka is impressive! Here it is collected from all regions of the country and even of the world. Near the museum there is a pub where you can dine. 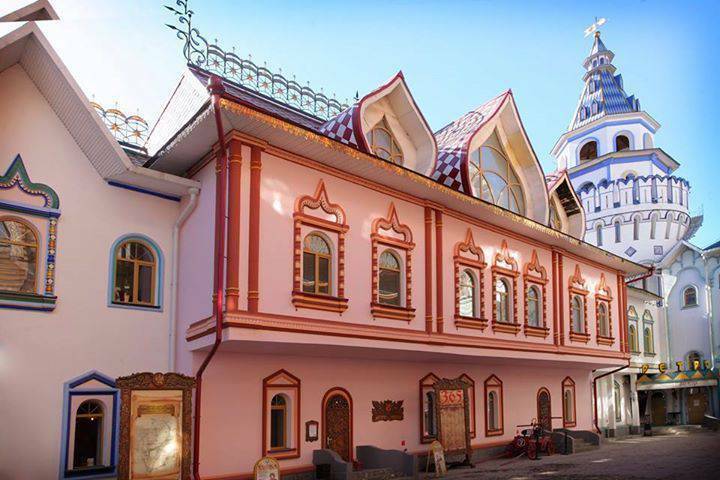 The museum itself is located on the territory of the Izmaylovsky park, which is so beautiful and colorful. 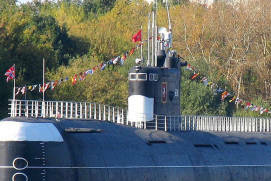 It's a must-see, some kind of Russian Disneyland. It didn't impress me much, although the fee is inexpensive and you can go for a change, but it's not exactly an entertaining place.